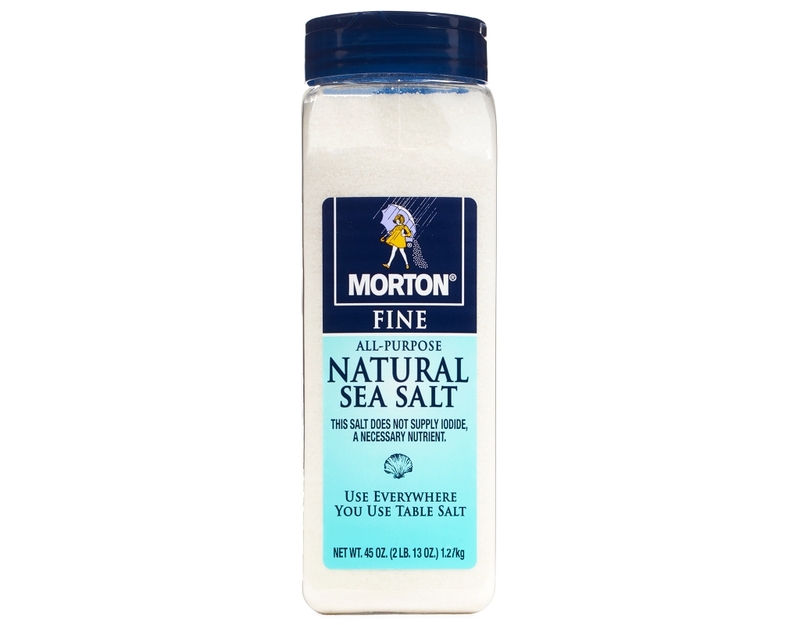 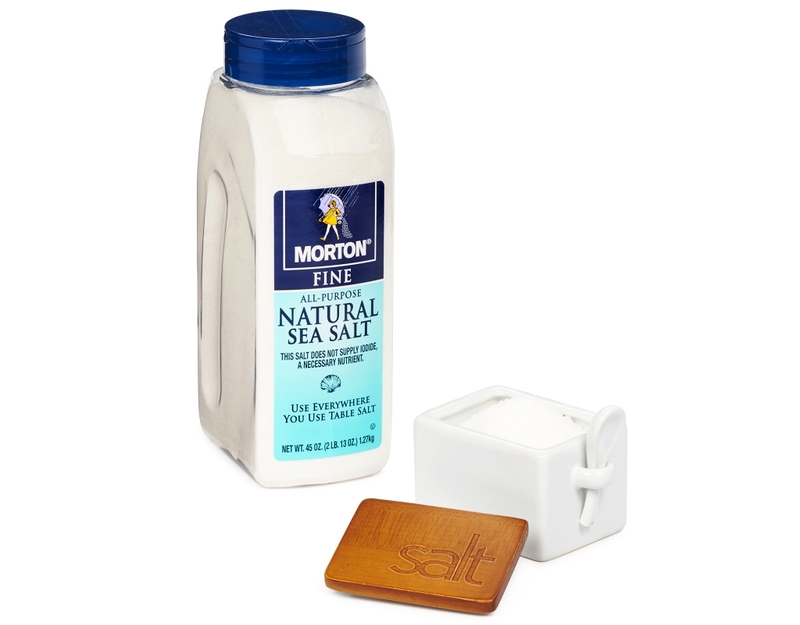 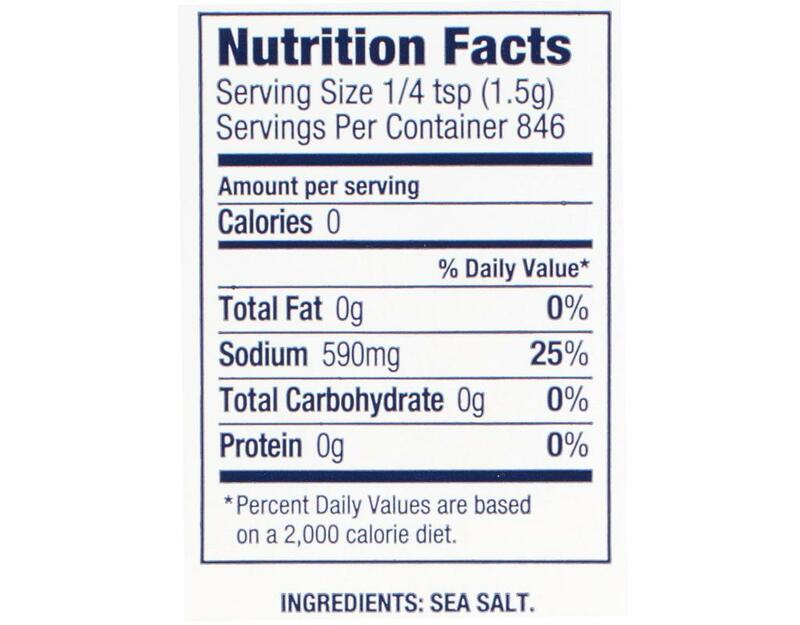 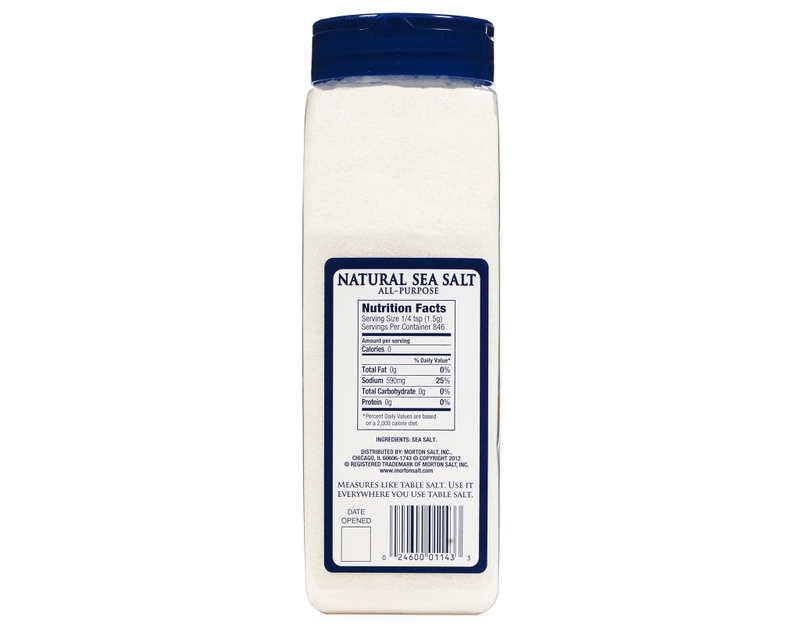 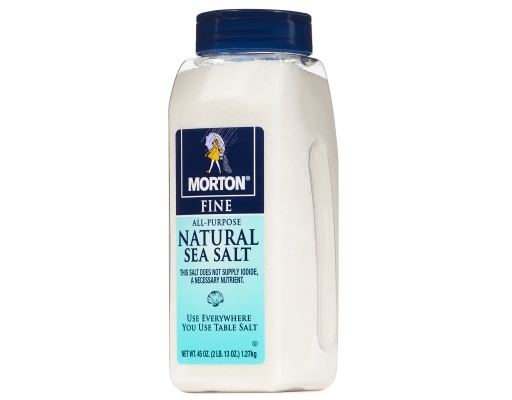 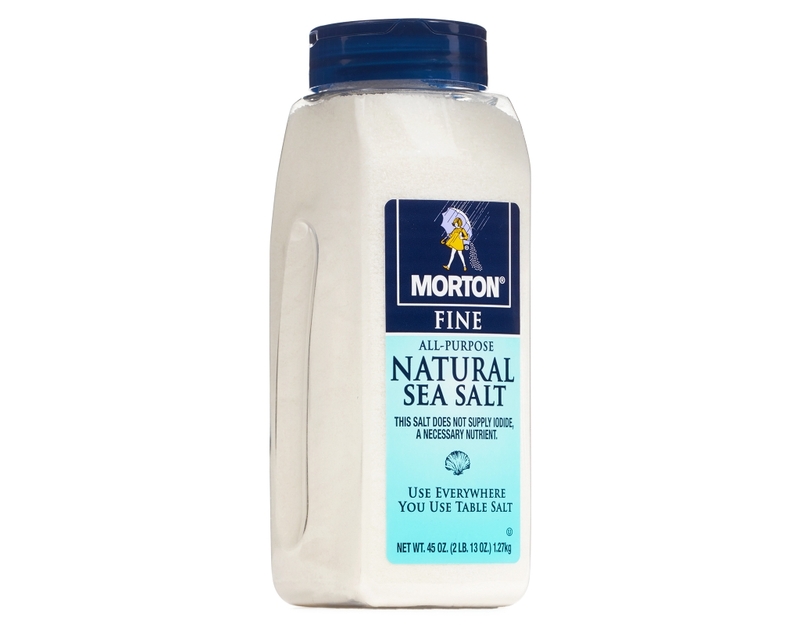 Morton All-Purpose Natural Sea Salt measures like table salt and is “recipe-ready” for cooking and baking. 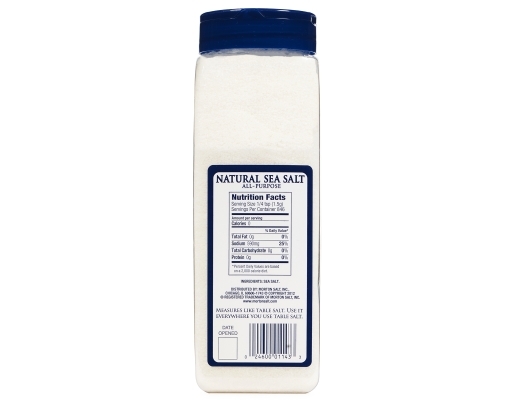 Natural Sea Salt has no additives and is 100% natural. Harvested from the sparkling waters of the Pacific, these sea salts are Made by Nature…Packaged by Morton.